Jaci is the Office Manager of East Ridge Dental. She brings her education as a dental hygienist and combines it with her knowledge of front office operations to serve as the hub of East Ridge Dental. 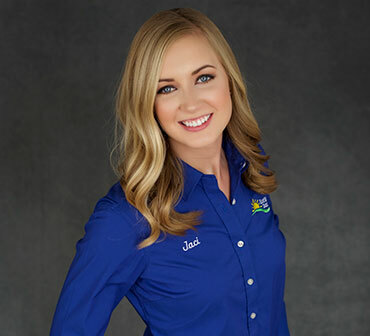 Jaci received her Bachelor of Science Degree in Dental Hygiene from the University of South Dakota in 2015. She is also certified in the administration of local anesthetic and nitrous oxide/oxygen sedation. Jaci continues to work part-time in her role as a dental hygienist at East Ridge Dental. This keeps her pulse on the office from both the patient care perspective and the managerial side of the business. Jaci is originally from Hinton, IA but now calls Sioux Falls, SD home with her husband Adam and much-loved dog Watson. In her spare time, Jaci enjoys outdoor activities at the lake and do it yourself projects.